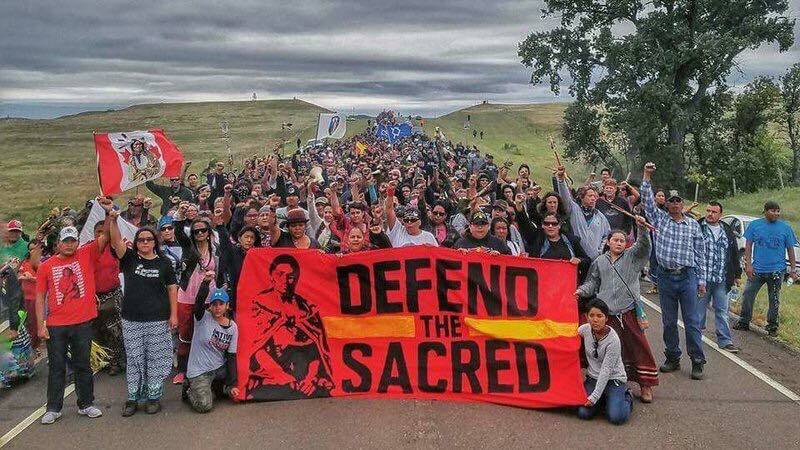 ***QUICK LINKS: Everything Regarding Standing Rock/Sacred Stone Camp LEGAL .. questions, videos, Complaint Call List, Updates, Faqs & Resources and IMPORTANT NOTICES.. The first amendment allows citizens of the United States the right to peaceably assemble, as well as the right to petition the government for a redress of grievances. (5) 2/7/17 NOTICE: Last Child Camp Arrestees: - Brandon Boucher - To any of the water protectors who were arrested at Last Child Camp. The ACLU is requesting that you guys fill out a intake form so we can set up a time for them to come to camp and talk with you as a group. You have a very strong case for action against Martin County Sheriff's Department, the North Dakota National Guard, dapl Security, and any other law enforcement agency that who was part of that incident. ​What is a "Private Attorney General"? Standing Rock Lawful is here NOW at #nodapl to provide free knowledge and pro-bono representation by private attorney generals to PROTECT THE PROTECTORS while providing tools and experience to navigate through the judicial system. - FACT "subject matter jurisdiction" can NOT be proven in the state of North Dakota. - With this being said, the attached video is one example of such use of this defense and a sample of the training, advice, and counsel being afforded, at no cost to you by Standing Rock Lawful. *Disclaimer - You, are asked to receive a very clear message about here: there are many, many designed traps in the courthouse you may unwittingly fall into that can grant a judge; jurisdiction, over you, before you can even get to speak at trial. PRO-TIP: Be cordial and respectful at all times and address the judge as 'the court' with well articulated, elegant responses. Are you able to UNDERSTAND this? NEVER say you UNDERSTAND what the judge is saying, period. Remember, you are in court for a special appearance with a duty to inquire, on and for the record. *Disclaimer - You, are NOW aware of the above being the tip of the iceberg. If you #care to learn more, message Standing Rock Lawful to set up an appointment, or for questions and concerns. 'like' / 'follow' and if time is...are you able to #share this message and page to any and all people being persecuted by those who have broken their oath of office? Pray tuned for scripts and our upcoming Grand Jury summoning. PRINT and sign in "person" to FILE at the courthouse for we the people. EVIDENCE: FILED - We the people PROTECT THE PROTECTORS with a Supreme Courthouse fast track NOW and LIVE! with "Danny Boy" - NOW all officials with oaths of office and all public servants of the Mandan courthouse in Morton County have been SERVED notarized documents for a lack of "subject matter jurisdiction" - #click to watch a THUNDERBIRD BOOGIE to Donald Trump LIVE! Violation - lacks "Subject matter jurisdiction" - warning to Mandan Court, and Counter-charge. On and for the record. "Mercy rejoices over judgment"
Accusation of violation of oath of office and treason, for conspiracy with Kelcey Warren, ND Gov, and Morton County Sheriff! 12:54 7:09pm Recap of International Indian Treaty Council and the UN Treaty and Human Rights Workshop w/Kaelly Salazar, and Steven Jeffrey Chrisjohn - Use correct wording, to properly document, through our statements, for maximum effectiveness, to be taken seriously. Who is listening? Also, it's more than just mace and teargas: Sacred sites and environmental racism; PTSD is real, be kind. 5:19 3:12pm Sacred Sites Found that DAPL later destroyed! 1/25/17 "I am afraid they are out to kill us" Testimony of water protectors at SR - Democracy Now! 11/21/16 Senator Al Franken demands The United States Department of Justice investigate police brutality against #NoDAPl Water Protectors. • Water Protector Legal Collective: fundrazr.com/campaigns/11B5z8 or nlg.org/donate/waterprotectorlegal for tax-deductible contributions. Monday, February 13, is a busy day at the North Dakota Legislature. Testimony will be taken at the Fort Lincoln Room at the Legislative Wing of the North Dakota Capitol. Anybody can testify in committee, but please remember that you will be under oath. If you are asked a question by a committee member, you will be required to answer it. The Senate Judiciary Committee will be under heavy pressure to rush these bills through, and each of these bills carries an emergency clause (which means that they become law as soon as they are signed by the governor and filed with the secretary of state). Then, at 1:00 p.m., House Bill 1203 is at the top of the calendar on the House floor. This is the notorious bill that would legalize vehicular terrorism against pedestrians in North Dakota. It came out of the Transportation Committee with a 8-4 DO NOT PASS recommendation, but its fate is still uncertain. 3/15/17 The revolution will not be televised - Huffington Post ####### Excellent article on Freedom of the Press, or lack thereof, and the camp eviction.